Robertson County Schools has selected a new Assistant Director of Schools. 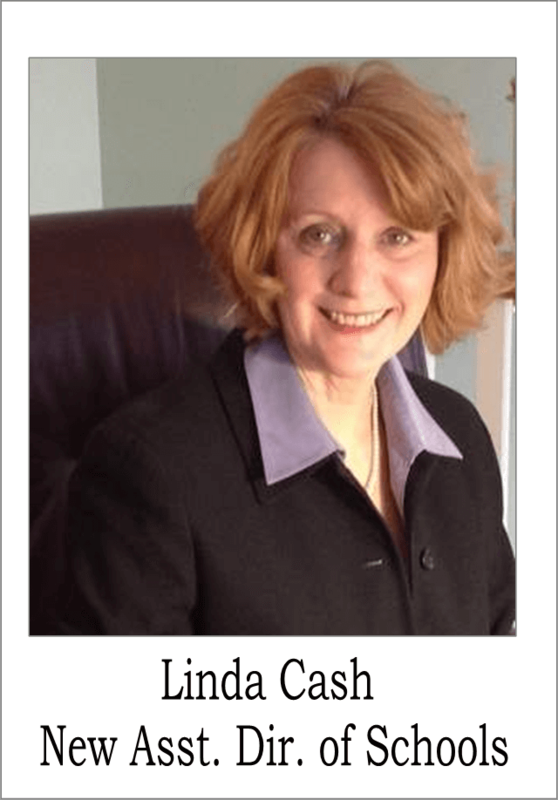 The announcement that Dr. Linda Cash had been chosen as the new Assistant Director was released to Smokey Barn News in a letter Tuesday July 2nd 2013. “Dr. Cash comes to the district most recently from Union University where she served as the assistant dean of graduate education, and brings a broad range of experience to her new position. Director Mike Davis said, “She will provide a great deal of expertise in developing a more rigorous curriculum for the children enrolled in our school system and will be a tremendous asset to the entire school district.” Cash will assume her new responsibilities beginning Wednesday, July 3, 2013″ the school release said. You may remember Cash as a candidate to replace Dan Whitlow as the Dir of R.C. Schools. I can only guess that school officials got a good look at Cash’s credentials during the interview process for Dan’s job and liked what they saw. Smokey chatted with Linda on the phone today for a bit, long enough to discern a real caring for children. I asked her “why Robertson County?, with your background you could go anywhere. She said the fact that the community was still well connected to the education system in Robertson County was a big plus to her. “I am very excited about coming to Robertson County as the Assistant Director of Schools. I am very pleased to be able to serve the students, the teachers and community and just hope that we are the fastest growing district in Tennessee so that we provide the best for our students, teachers and community.” Cash said. Cash has been an teacher and principal in South Carolina, Alabama and Tennessee since 1984. At the elementary and middle school levels, she has taught health and physical education, reading and various grades. In 1998, she became a science, biology and special education teacher at White House High School before returning to fifth grade at Walton Ferry Elementary in Hendersonville. Cash became an assistant principal at Madison Creek Elementary in Goodlettsville in 2002, principal at Westmoreland Elementary the following year and has been principal of Station Camp Elementary School in Gallatin since it opened in 2008. Cash earned her Bachelor of Science degree in Health and Physical Education from Lander University in Greenwood, South Carolina, in 1984, a Master’s Degree in Supervision and Administration from Tennessee State University in 2000 and her Doctor of Education degree in Leadership and Professional Practice from Trevecca Nazarene University in 2008. She is a graduate of the Tennessee School Boards Association’s Prospective Superintendents Academy and an adjunct professor at Union University. In her application submission to be the Dickson County School Board Dir, Cash said she is a strong decision maker, team contributor, instructional leader and committed educator. Be sure to welcome Linda To Robertson County in comments.